There’s no official release from Titan yet but keep watching this space. Mark Salisbury also wrote Prometheus – Art of the Film for Titan last year. Thanks to DreadCentral and Cvalda for the news. I seriously hope this encompasses all the Alien films. It would be great to have more info and pics on 2-4... not that i don't love the 1st, but i have plenty of books just on that one already. Pictures of all the aliens would be great as accurate reference for my drawings! I'd be most interested in any new information about Alien3. This might be good. Given the title and the description-blurb, I somehow doubt this. Unreleased content... a must have. I liked the Vault. Was a very good read. But yeah - there's only so many times you can say the same thing about Alien. 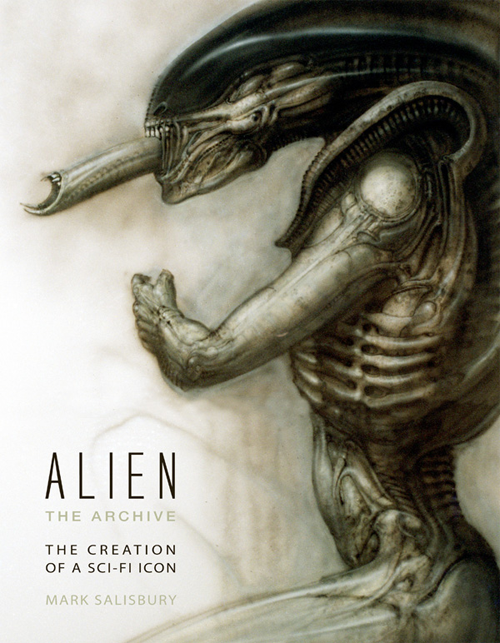 The blurb does say Alien franchise so hopefully, it's a look at all the films. I'm gonna try and get more info from Titan. New content...Hope its nothing like the Alien Vault was. Don't really know what if anything new Riddlez would have to say. I wish someone would actually ask Sigourney some interesting questions -- set troubles on A3, etc. Won't happen, though. Sounds cool already have all the other mandatory Alien stuff so I might as well get this one to. I recognize the name. I'm look him up when I get home. He wrote the Prometheus book. For those wondering. The Art book? Loved that if so.